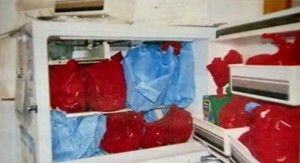 PHILADELPHIA — The City of Philadelphia says that it plans to cremate and bury the remains of the 47 babies that were seized by investigators during a raid on convicted abortionist Kermit Gosnell’s “House of Horrors” in 2011. As previously reported, last month, Gosnell was convicted of over 200 criminal counts, including three counts of first-degree murder for killing babies born alive and charges surrounding illegal late-term abortions past 24 weeks. Gosnell waived his right to an appeal to avoid the death penalty, and was sentenced to three life sentences behind bars. The abortionist had 30 days to change his mind regarding the appeal, but the date has now passed. City officials outline that now matters seem to have come to a close, they will proceed with their plans to cremate and bury the bodies of babies that were found in Gosnell’s basement, which have been held as evidence for the past two years. However, Roman Catholics in the city are disappointed as they state that they had specifically petitioned the Philadelphia District Attorney’s Office for the right to bury the bodies. 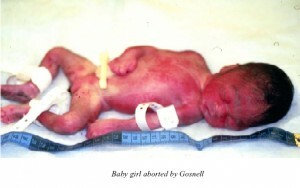 One of the babies found by investigators at Gosnell’s abortion facility. Frank Pavone of Priests for Life advised that a ceremony for the babies will proceed with or without the bodies. However, as previously reported, it is believed that the remains of hundreds of other babies murdered by Gosnell may have been unlawfully dumped in a landfill by the medical waste company Stericycle. The Campaign to Stop Stericycle (CSS) issued a news release last month outlining that while Stericycle’s protocol is to ship body parts collected in Pennsylvania — marked as “pathological waste” — to their incineration plant in North Carolina, the organization had discovered evidence that the boxes were mislabeled and sent to Stericycle’s chemclave plant in Morgantown, Pennsylvania. CSS has requested an official investigation into the matter, sending letters to officials throughout the Commonwealth.